Finally stuffed and happy, the F3 moved to the next destination with our new friends, Triple Js. 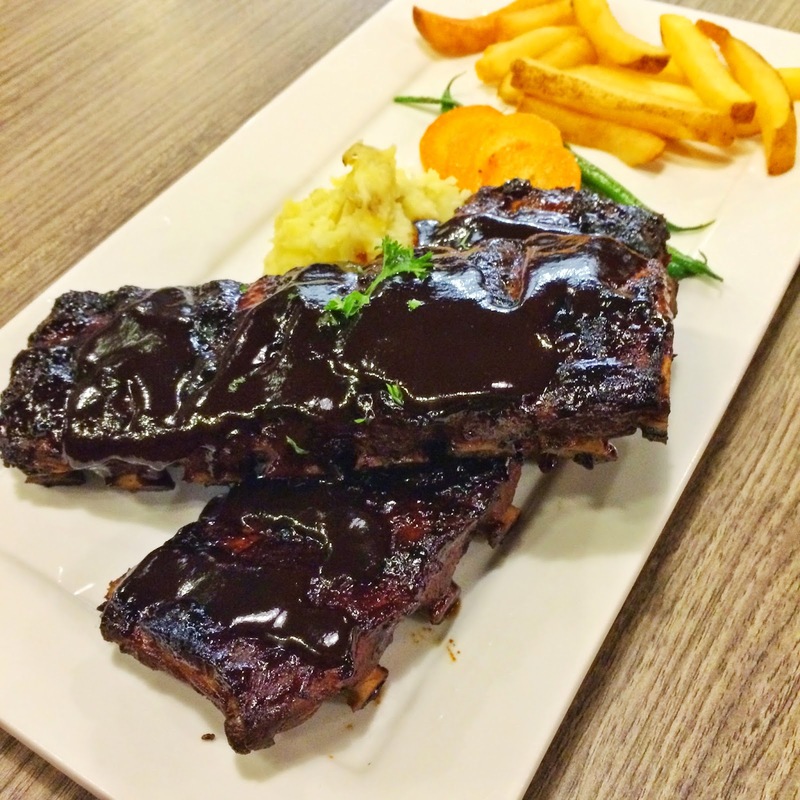 While still at Silantro, we decided on where we should go next and we all decided to give Tomahawk Chops & Grill a try. 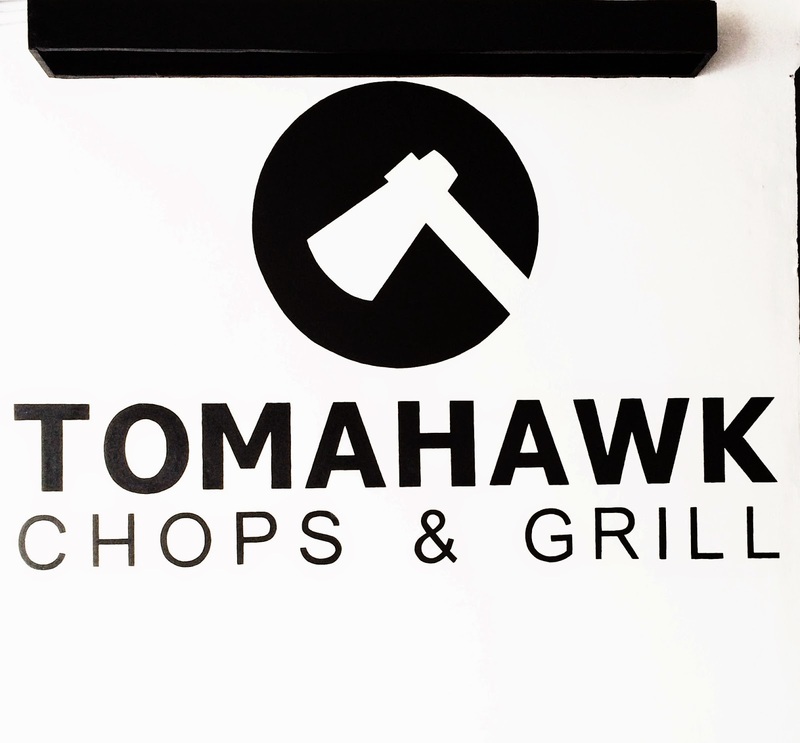 Hello, Tomahawk Chops & Grill! When we arrived, all the long tables were occupied and the available tables (which were too small for a party of six) were spread out. The server then suggested that we go to the second floor. Second floor?! We were all surprised that there is a second floor. We all had an impression that it’s a very small restaurant. The second floor is adorable. 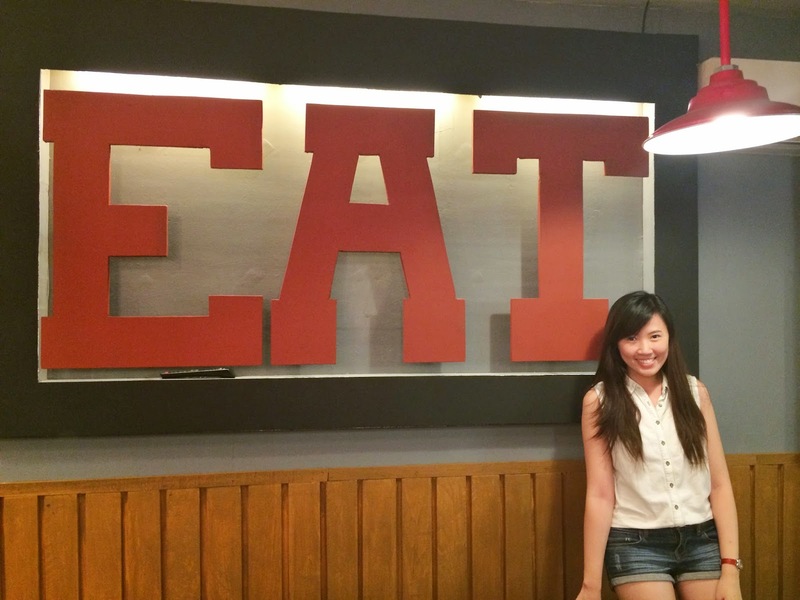 There are giant letters that spell EAT and CHOPS. 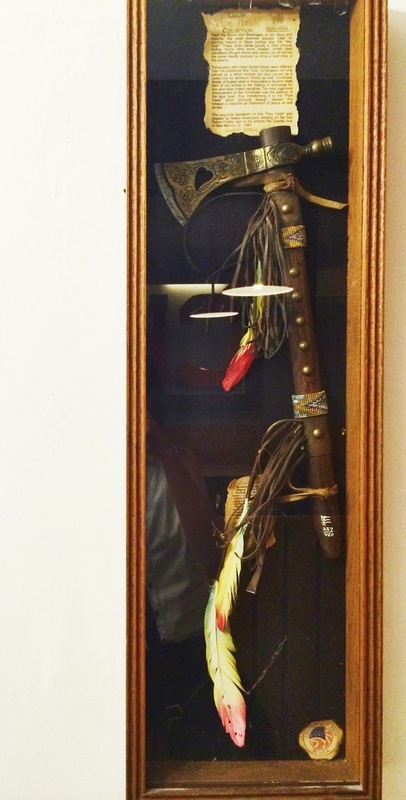 The walls are also adorned with frames. 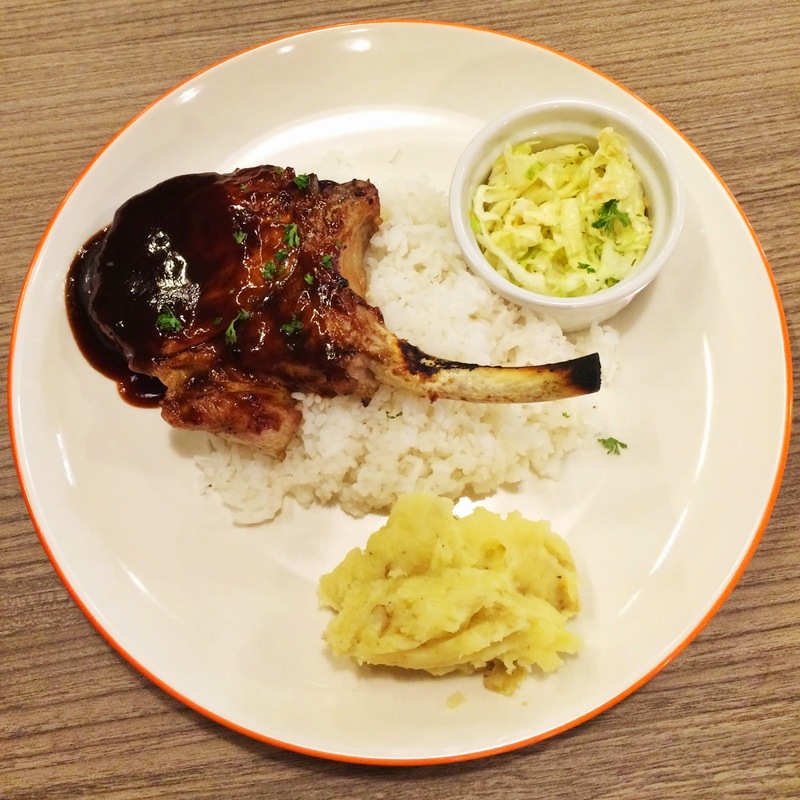 After a short while, we decided to go for the Grilled Tomahawk Chops (PHP295) and Grilled Baby Back Ribs (PHP425). For our sides, we went with mashed potatoes and string beans. 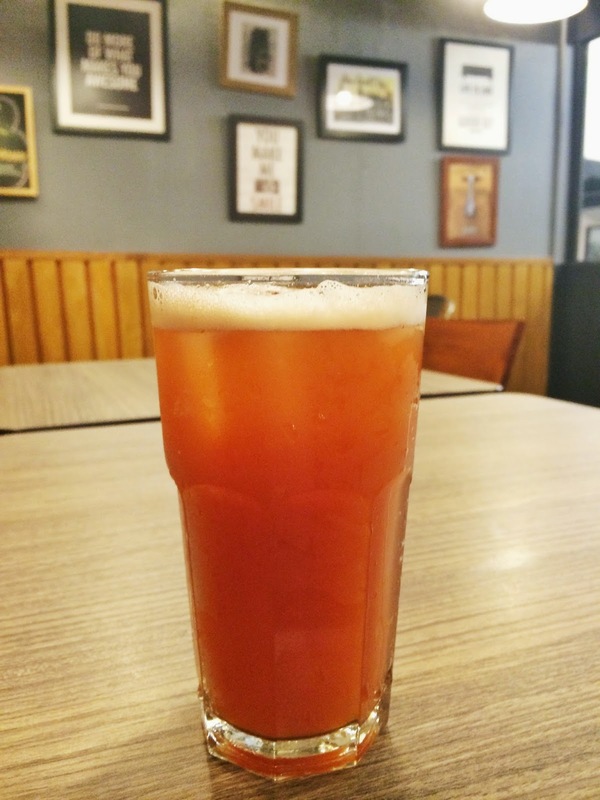 I also ordered a glass of the Premium Iced Tea (PHP60/glass). Food was served shortly and after a few snapshots here and there, we started to taste the food. The grilled tomahawk chops had a weird taste. Perhaps the pork used wasn’t that fresh. After two bites, I had to give up. I heard though that this is one of their bestsellers. We probably went on the wrong day. The ribs were great though. It was slightly burnt but still delectable. The meat was soft and well marinated. I loved the sweet sauce too. Plus two racks for PHP425, it’s a good deal. The iced tea was indeed a house blend with a tinge of lemon. Refreshing! Since we find the place so comfy, we decided to stay there for a while to play Cards Against Humanity and have dessert from Kool Kids (which will be in another entry). 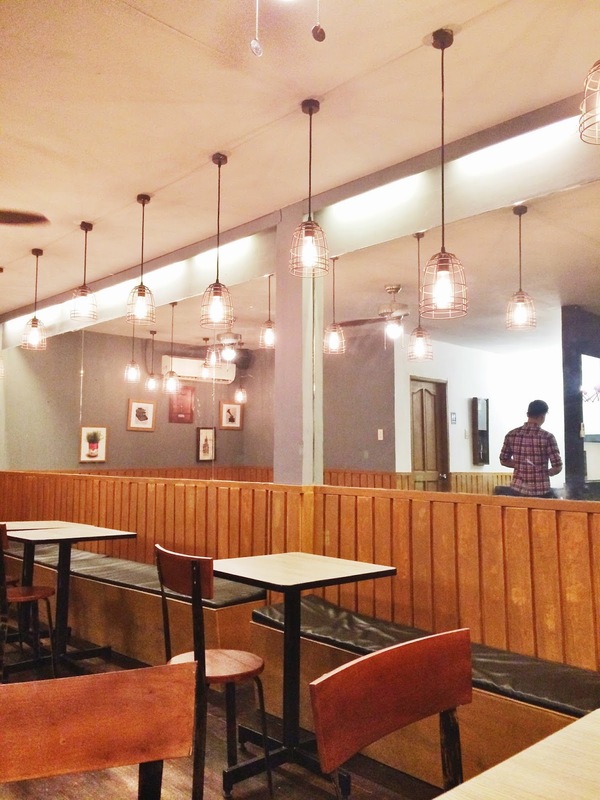 Overall, it’s a nice hangout place for big groups. The ribs were good. I heard that the mushroom fries were yummy as well. However, I’ll probably hesitate to give the chops another chance. 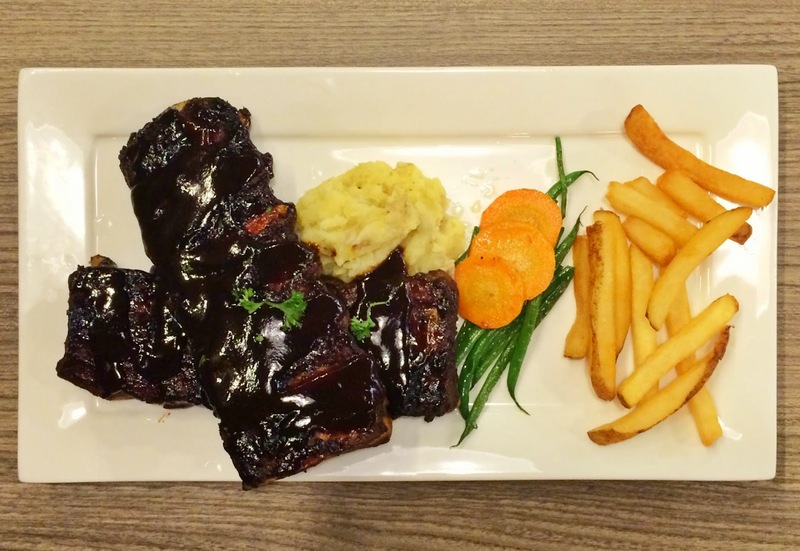 Tomahawk Chops & Grill is located at 56-A East Capitol Drive, Kapitolyo, Pasig City. Call them at 0917 840 9876 for reservations.